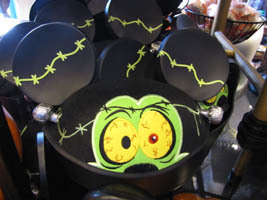 We stopped at Disney’s Hollywood Studios today, and found quite a bit of Halloween merchandise! 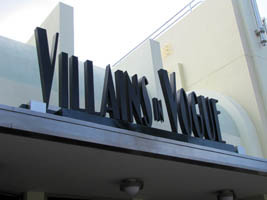 The Villains in Vogue shop (below, left) had some neat items like these Frankenstein Mickey Mouse glow-in-the-dark ears (new for this year, below right). 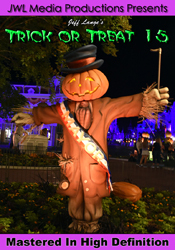 As a special Halloween treat, we are offering the complete Trick or Treat Collection chronicling Mickey’s Not So Scary Halloween Parties between 2003-2009! 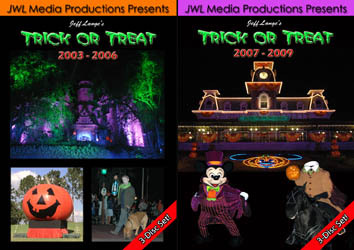 For complete details or to purchase Jeff Lange’s Trick or Treat: The Complete Collection (Mickey’s Not So Scary Halloween Party 2003-2009) – all 6 discs – please click this LINK. Also included in each order is a surprise Halloween Treat. For complete details on this special offer please click HERE. This offer will expire at midnight on Halloween! Click here to browse all Halloween titles. I just returned from the incredible D23 Expo (photos and video to come in the upcoming week), and had a great time at Disneyland too. 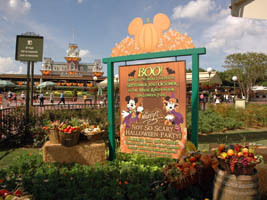 On the last day I was there, even more Halloween decorations came out in the form of banners hanging from the buildings (below left and right). 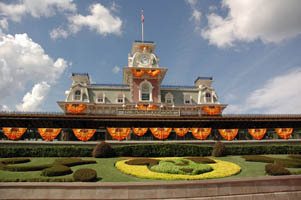 Halloween has taken over the Magic Kingdom, and it’s only 3 days until the first Mickey’s Not So Scary Halloween Party! 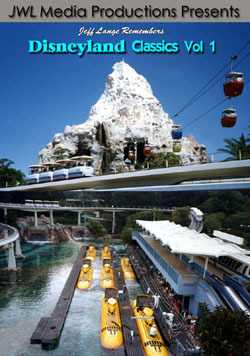 Signs for the party are now outside of the park (below, left) and the train station is decked out with decor (below, right). 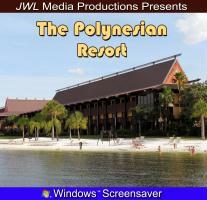 I’m hard at work finishing up the Polynesian Resort DVD that should be released within one week. 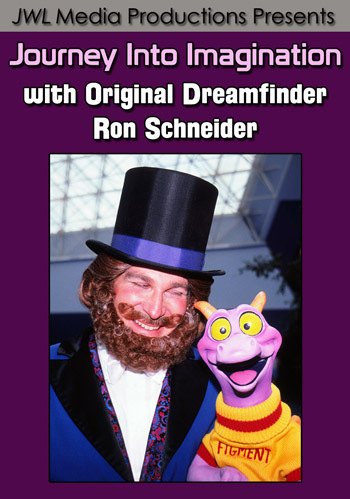 In the meantime, please check out Mousesteps.com for both a poll to vote for my next resort DVD, as well as to enter a contest to win one of the newly released Polynesian Resort screensavers! 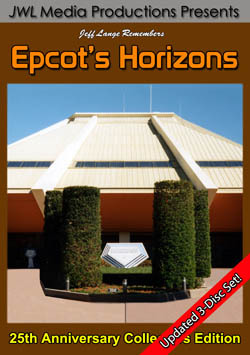 It turned out beautifully, and will make a wonderful Christmas present for anyone who loves the resort. The contest ends on November 7th. 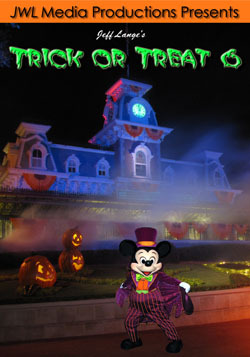 Be sure to check out my latest DVD release: Jeff Lange’s Trick or Treat 5 (Mickey’s Not So Scary Halloween Party 2008).